Out of curiosity, does anyone know the difference between Big Buddha and Super Bowl? Right now, i'm on the fence about whether i enjoy eating there or not. I've had two extremely uneven experiences at the Big Buddha Greenbelt 3 Branch. Good food for a reasonable price, right? But is the price really all that "reasonable"? And you know what? The service was crap - or it was at least the last time Rina and I went there. During our most recent visit, we waited 10 minutes at our table and no one bothered to even give us a menu, despite all our hand waving. The kicker was, the place wasn't really all that full either! Ok, I'll give them the benefit of the doubt - we were at the corner and we weren't exactly at the most visible area.. but why put a table there if they have no intention of pay attention it? Bottom line, they should have been more alert. We promptly walked out, and let's just say the hostess outside got a piece of my mind before we left..
You dont' wanna mess with a hungry RichieZ..
At any rate, these pictures weren't from our bad experience trip. This was from a few months back, where Rina treated me to a Chinese dinner for my birthday! 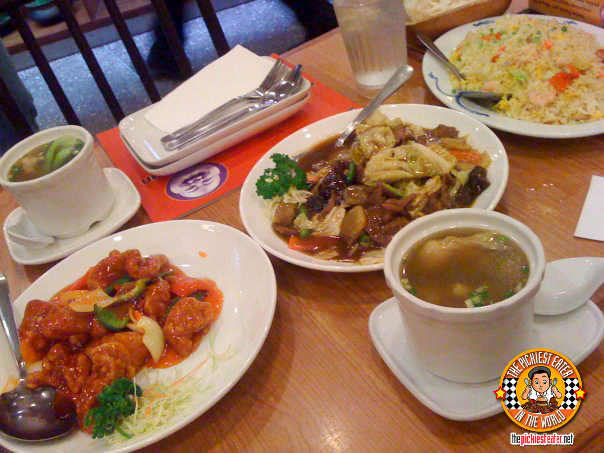 You will soon discover that Chinese Food is among my favorite Cuisines. (It's in the Top 2, actually up there with.. umm.. "American".. ya know.. burgers and BBQ.. hehe) I cannot go to a Chinese restaurant and NOT order their Sweet & Sour Pork.. and Big Buddha is actually quite adept at preparing the dish - though far from the best I've ever tried. This was probably the best Wonton Soup (P95) i've ever had. It wasn't just your standard soup water with some dumplings in it that you get in some Chinese Fast Food place I shall remain nameless, but i will tell you that it rhymes with "KowChing".. 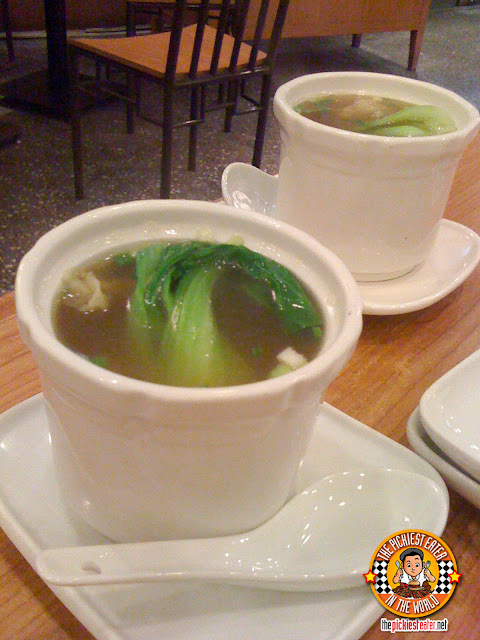 The soup was actually loaded with Fat, Juicy Pork Wontons that were delicious, and the soup was flavorful.. The green onions added a nice subtle kick to it. The reasonable price makes it even better! 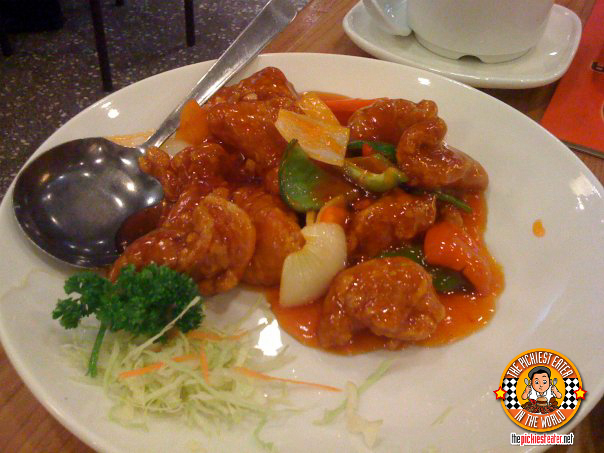 The classic Sweet & Sour Pork..
Big Buddha's Sweet & Sour Pork (P250) is one of the better ones around. The flavor is rich and tangy though - sometimes too much for it's own good, but when mixed with the Yang Chow Fried rice, it creates the right balance. It had a nice crispiness to it, but the meat still maintained its softness inside. My only qualm with it is, well. Look at it. Do YOU think that portioning is worth P250 bucks? 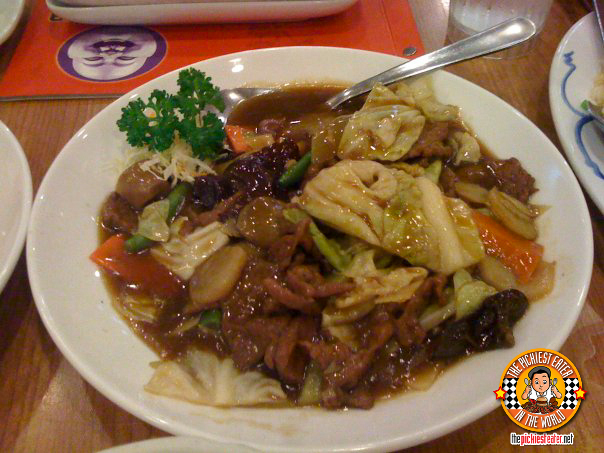 It was more like "Veggies in Oyster Sauce, with a Little Beef". The Beef with Oyster (P270) sauce was pretty good, but being the carnivore that I am, i was a little bit overwhelmed by the sheer volume of vegetables that was in the dish. I kinda wished they changed up the ratio of beef to vegetables. When the sauces of the sweet & sour and this mix in your rice, it surprisingly tastes pretty good. 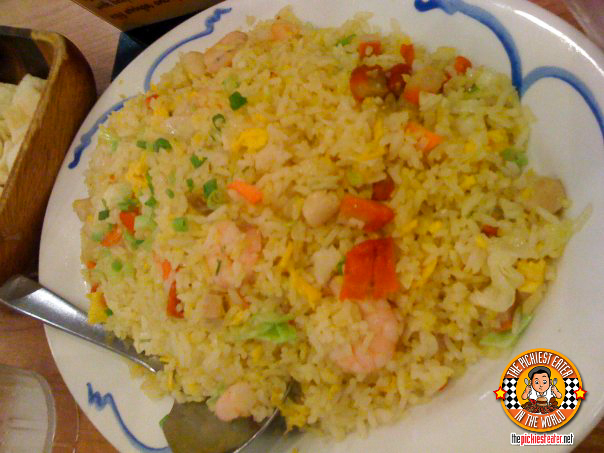 Death By Yang Chow.. What a way to go..
Yang Chow Fried Rice (P210) is a must for me, whenever I go to a Chinese restaurant. I'm quite fortunate to work for a man who loves to eat, so I've been around different places, especially Chinese. For some reason though, my boss prefers plain rice. 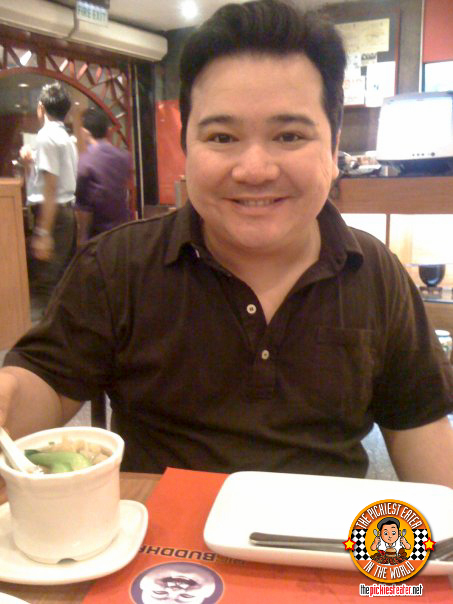 He says it's "Para malasahan ang pagkain", or so that you get the full flavor of the dishes you order, without the taste being drowned out by the rice. I respectfully disagree. (Respectfully cuz he's still my boss hehe) If anything, Yang Chow Fried rice actually enhances the flavor of the dishes, and when combined together, proves to be quite a potent combination. It's pretty hard for a Chinese restaurant to get Yang Chow rice wrong, and thankfully, Big Buddha doesn't. I'm guessing there's a lot of star margarine in it because it's quite yellow. If you like shrimps (I don't), then you're in for a treat because the shrimps the rice comes in are pretty big. My Birthday Dinner.. 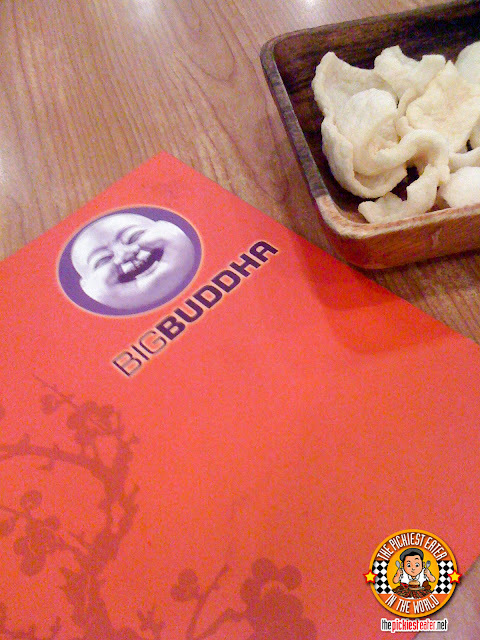 Courtesy of my wonderful wife..
All relationship has their ups and downs, and after much thought, I have decided to give Big Buddha another chance, mainly because, despite their uneven performance in serving, the food is actually pretty good. Maybe I needed to be more patient, and Big Buddha should have been more attentive, but hopefully, the next time around, we'd have learned how to adjust to one another to make this work.. sniff..
Me and Big Buddha, during happier times..